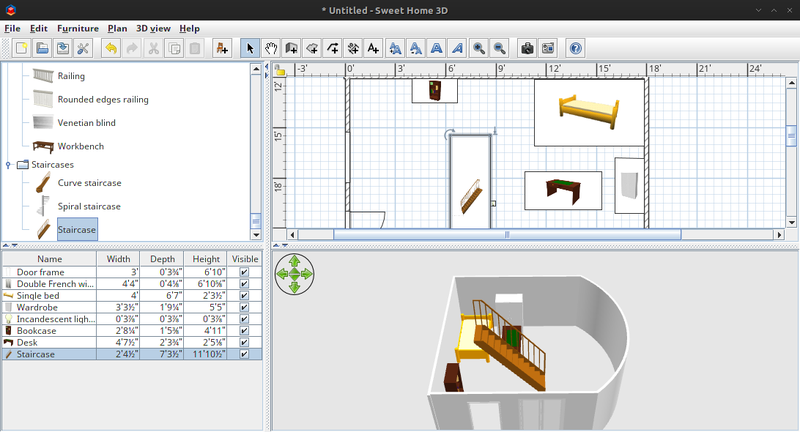 SweetHome3D is a free interior design application that helps you draw the plan of your house, arrange furniture on it and visit the results in 3D. 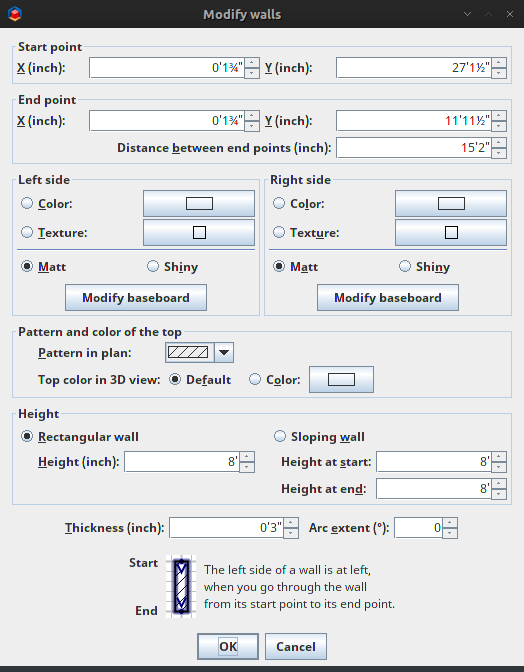 Create wall by draw straight, round, or slopping with precise dimensions using mouse or keyboard. 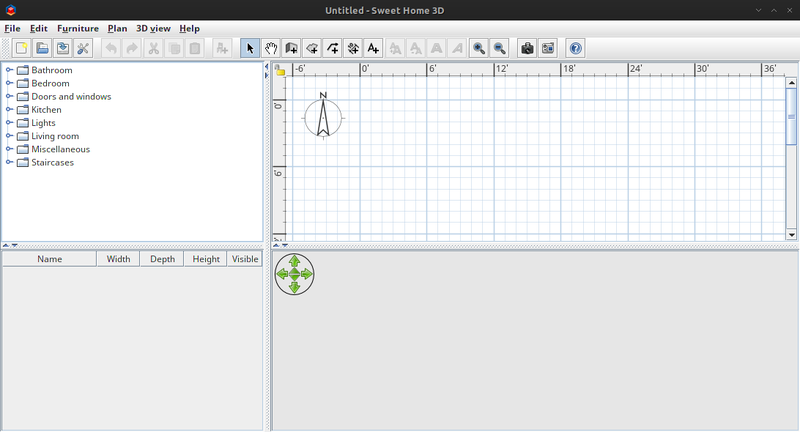 Insert windows or door, by "drag n drop". Add any interior for Livingroom, bathroom, bedrom, kitchen, lights, etc. 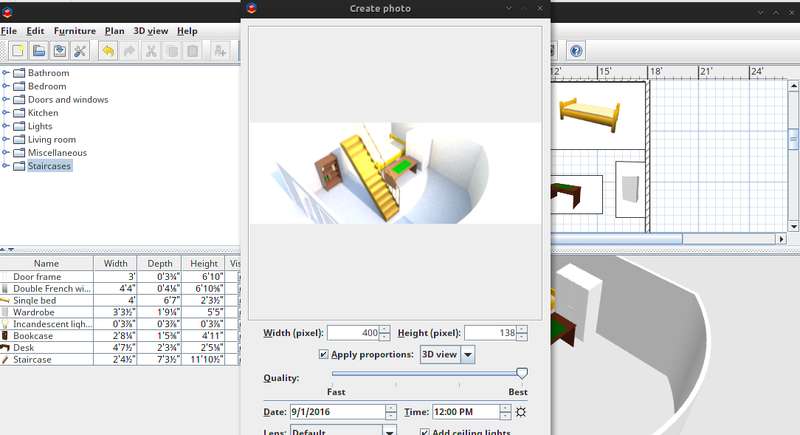 Modifiy texture, color, size, thickness, location and orientation of furniture, walls, floors and ceilings. You can also create photorealistic images and videos with the ability to customize lights and control sunlight effect according to the time of day and geographic location. 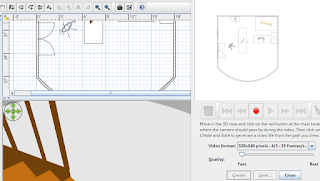 Export to various formats like PDF, SVG, PNG, OBJ,MOV. 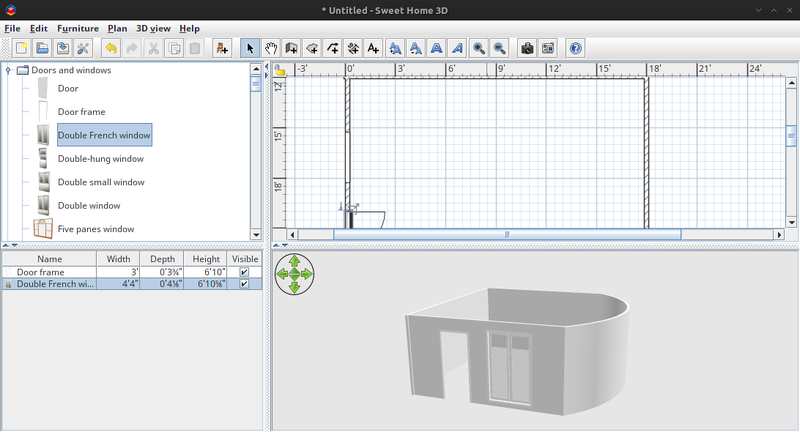 Well, it's the best open source apps for home planning and design. 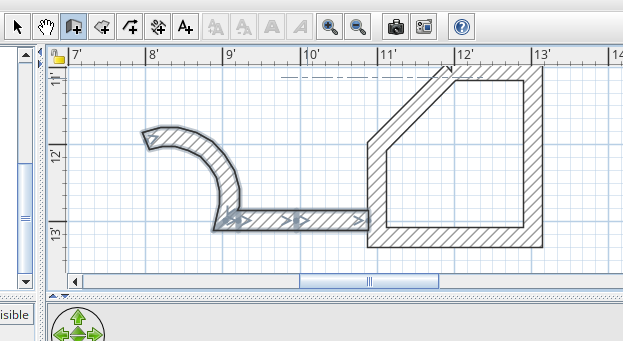 It's simple and easy to use, just draw the line to create wall, add any interior to room that you created, etc. 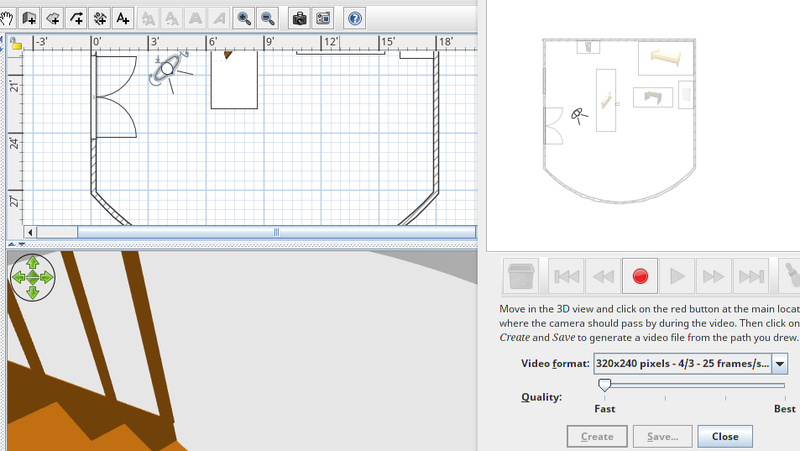 You can also create high quality photos of your home design and record video of your home design. The limitation of this apps is just one, "your imagination" LOL. Ok that's it, enjoy.